“Success in marketing to U.S. Millennials—the generation of people now 18 to 34 years old—will be critical to companies across product and service categories,” stated Christine Barton, Lara Koslow, and Christine Beauchamp in their paper “How Millennials Are Changing the Face of Marketing Forever.” Millennials’ unique needs and desires are fueling changes throughout the marketing industry, and the predictions of industry experts provide a glimpse at the future of marketing in a millennial world. They were dubbed the “Me Me Me Generation” by Time Magazine, so it makes sense marketers are expected to embrace initiatives allowing millennials to take greater control of their marketing and purchase decisions. Tracey Follows of Marketing Magazine expects more brands will invite consumers to co-create and collaborate on their services. 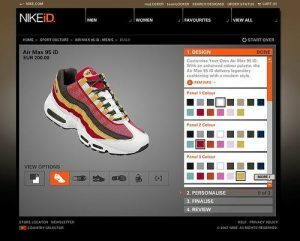 We’re already seen this from Nike, which encourages consumers to design accessories through its NIKEiD online portal, and Burberry, which launched a customizable scarf bar in September 2015. Initiatives like these allow businesses to market themselves as more unique and better able to satisfy the needs of millennials than their competitors. However, Follows believes the most “authentic and exciting” offerings will come from start-up firms already positioning themselves as distinctive in the marketplace. Co-creation will also extend to the marketing of products, whether they’re personalized or not. McDonald’s increased transparency and built trust with its “Our Food, Your Questions” campaign, which saw McDonald’s representatives answering product questions posed by ordinary consumers. The successful campaign came to the United States after receiving more than 20,000 questions in Canada two years earlier. Many marketers regard mobile as the “third screen,” said digital marketing expert Chris Woods. However, he believes future-proof brands must recognize mobile as the dominant screen, especially for millennials. With 93 percent of millennials and members of Generation Zusing smartphones for more than an hour a day, brands must use mobile to reach young consumers. Mobile technologies brands experimenting with augmented reality and local and proximity tagging will become more sophisticated and effective in the future, according to Florence Broader of AppsFlyer. As mobile becomes even more mainstream, Master of Communication Management students benefit from learning about these technologies in integrated marketing communication strategies classes. While some have suggested social media’s popularity has peaked, Geoff Gower of TechRader believes it’s too early to sound the death knell. After all, Barton et al still found 37 percent of young millennials feel they’re “missing something” if they don’t use Facebook and Twitter daily. They’re also interacting with organizations on social media, liking the brand and their posts, and submitting their own product reviews. Gower suggests rather than disappearing, social media will simply evolve, becoming a channel for user-generated content curation and IM-based communication. These developments will give marketers the chance to connect with their audience in new and exciting ways. The same tired marketing tricks will never win over discerning millennials. Innovations like those mentioned above are helping marketers appeal to young consumers and changing the marketing industry forever.